Fits 2008 - 2016 Ford F-250/F-350 Supercrew Cab with or without Power sliding rear window. Is your Truck Stereo Lacking Bass? Get a Subwoofer box for your 2008 - 2016 F-250/F-350 Supercrew Cab and start making your friends jealous with the sound quality you can get from your truck. The level of improvement from adding a subwoofer enclosure is unmatched compared to any other improvement you can do to your system. This subwoofer box installs in minutes and is engineered to fit the 2008 -2016 F250/F350 supercrew cab. We use high quality MDF and precision manufacturing in all of our Subwoofer enclosures. DOES NOT fit with the Sony sub system. It must be removed. Hole Cutout for 12" Sub = 11"
Ford F-250/ F-350 Supercrew Cab 08-16 Dual BTS Subwoofer Box 5.0 Amazing price for an even more AMAZING product 01/10/2019 By Makenzie F I ordered a custom box for my boyfriend for Christmas. Having no background knowledge on anything audio or truck related, I had no idea where to begin. I called the number for the site and was greeted by an extremely friendly and helpful man who answered all of my questions and more. I waited until the last minute to order and he also assured me the custom box would be built, shipped, and on time for the holidays. I also added the two subs offered as a package with the box which sound wonderful as well. I will without a doubt continue future business with this company and refer anyone who asks! Ford F-250/ F-350 Supercrew Cab 08-16 Dual BTS Subwoofer Box 5.0 Wonderful Product 03/26/2018 By Gerard Using a Kicker CompRT12 and could not be happier. Box fit great and sounds awesome. Ford F-250/ F-350 Supercrew Cab 08-16 Dual BTS Subwoofer Box 5.0 Awesome 01/15/2018 By Chris McDonald Called and talked to one of the reps and told him what i had and he pointed me in the right direction. This box is perfect for my jl 8 w3s. Added some fill in the box, dont know if it needed it or not but it sounds absolutely amazing behind the seat in my 2015 f250 supercrew. Did not have to trim anything to make it fit but i did have to remove the jack and factory sub. Its a tight fit without trimming but it did work. 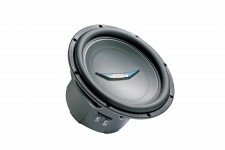 Ford F-250/ F-350 Supercrew Cab 08-16 Dual BTS Subwoofer Box 3.0 Measurement. 05/25/2017 By Jeremiah Williams 2012 Ford F250 behind rear aeat mount single 10" setup. As for the quality of box it is great. My only concern I had was it states on website that it's mounting depth is 5.25 this is incorrect. It is 4.25 depth so you will need to purchase a shallow mount speaker. Depending on shallow mount speaker base measurement you will need a exact 10" cutout not a 9 1/8 cutout as this box has. Other then that box sounds amazing and fits perfect behind your seat. Ford F-250/ F-350 Supercrew Cab 08-16 Dual BTS Subwoofer Box 5.0 Awesome box for money 10/11/2016 By Eric Bart Great fit, good sound!! Ford F-250/ F-350 Supercrew Cab 08-16 Dual BTS Subwoofer Box 5.0 2016 SuperDuty Dual BTS Box 07/26/2016 By Kenneth Smart I have absolutely no complaints about this box or customer service. 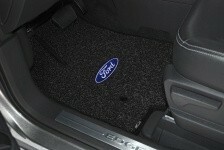 I ordered the Ford F-250/ F-350 Supercrew Cab 08-16 Dual BTS Subwoofer Box customized to fit 2 8" L7 Kicker subwoofers. The box arrived well packaged and had provisions to accommodate the magnets. The box was a perfect fit in my 2016 SuperDuty Supercrew and man that thing hammers! Even though it says that the rear driver vent needs to be removed, my box fit without removing them. Nice job!